Granite or Engineered Quartz Countertops? Granite countertops have been around for millennia, but they only got flat & shiny in the last few centuries. Quartz is new. Both have quartz particles as a primary ingredient. 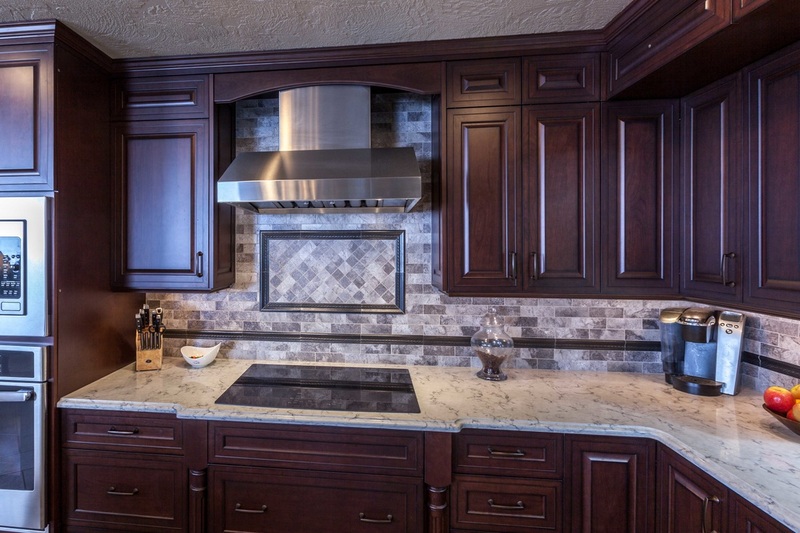 So which is better, granite or engineered quartz countertops? The answer is, of course, both! If you just want the bottom line, scroll to the bottom & skip the hashing. Hardness: Both are hard enough to eliminate most scratching. 8 out of 10 on the hardness scale. Stain-ability: Most granite needs to be sealed, but the sealers have gotten very good and they only need to be re-sealed once every decade for most types. To make countertops, quartz is mixed with resin, poured, and baked like a sheet cake. The resin acts as a sealer and makes Quartz countertops mostly non-stainable. (most warranties exclude staining). What about all of the talk I hear about granite staining? Since quartz is man-made, it has a marketing budget. What better way to market quartz than to insinuate that granite will stain? "Smear the opponent" is a time-honored marketing technique. Appearance: Granite has the advantage of natural beauty, and one-of-a-kind pattern potential, whereas quartz mostly looks man-made. Quartz offers some interesting & different looks, including some colors that don't appear in nature. We regularly use both products and even mix them in the same room. Silestone "Naranja Cool" engineered quartz and Uba Tuba granite combined in the same kitchen. Limestone? Because they are soft, stain-able, and acid etch-able, we have always advised clients to avoid using marble and limestone for kitchen countertops. Now we have quartz patterns that mimic those surfaces, but with the performance characteristics of engineered quartz. Perfect. Engineered quartz countertops that look like Limestone. Marble? Now we can get a marble look in the kitchen without worrying about performance because it's engineered quartz. LG engineered quartz countertops that mimics Italian Carrara Marble. Heat Resistance: Both granite & quartz can be damaged by hot pots and the official recommendation is don't. (most warranties exclude heat damage). I regularly do put moderately hot pots on my granite without consequence, as do many people. What is the critical temperature? Depends on the individual stone, use common sense. Bacterial Resistance: Granite & Quartz are superior in bacterial resistance to most other surfaces, including stainless steel. Price: Quartz is similar in price to mid-grade granite, which is where most of the sales volume is. Granite can go much higher if you fall in love with an exotic. In most cases the price difference is not enough to influence your selection. The Bottom Line: Both are incredibly tough, and mostly similar in price and performance. Ignore the marketing hype and let your eyes and instincts make the call. If you prefer consistency of pattern, you will have lots of choices in both materials, if you prefer the beauty of a natural, varied, one-of-a-kind pattern, you will likely be drawn to granite. 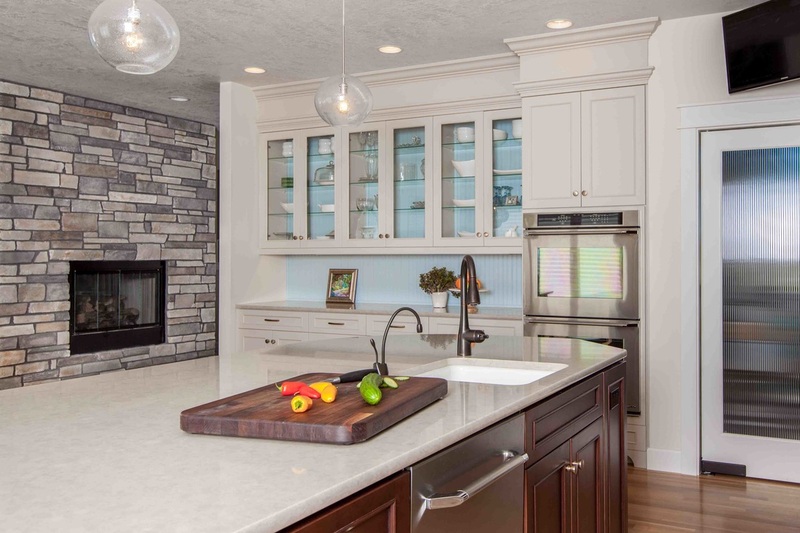 If you are after a marble or limestone look, engineered quartz is your best bet. 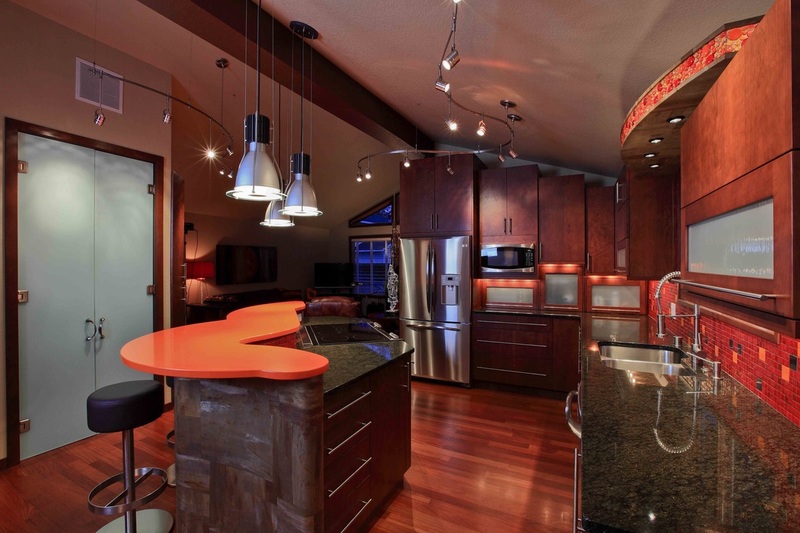 For a more contemporary look, there are some stunning solid colors in engineered quartz that are not found in nature. Good hunting!